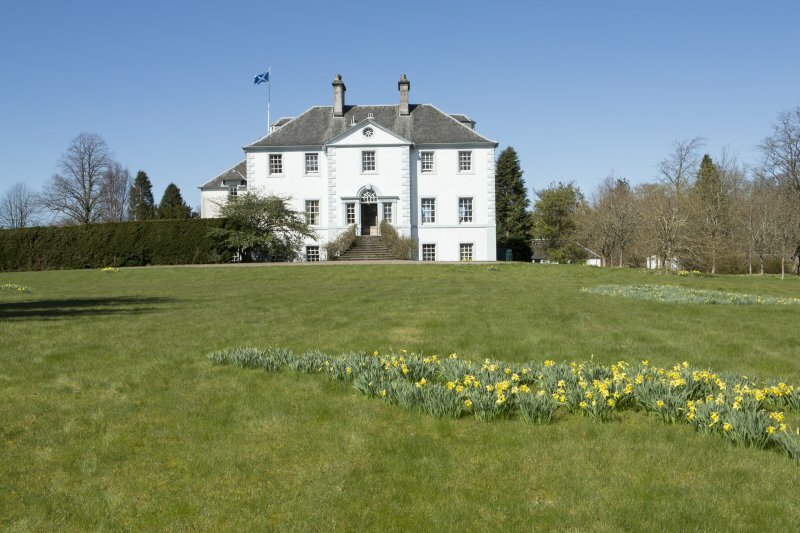 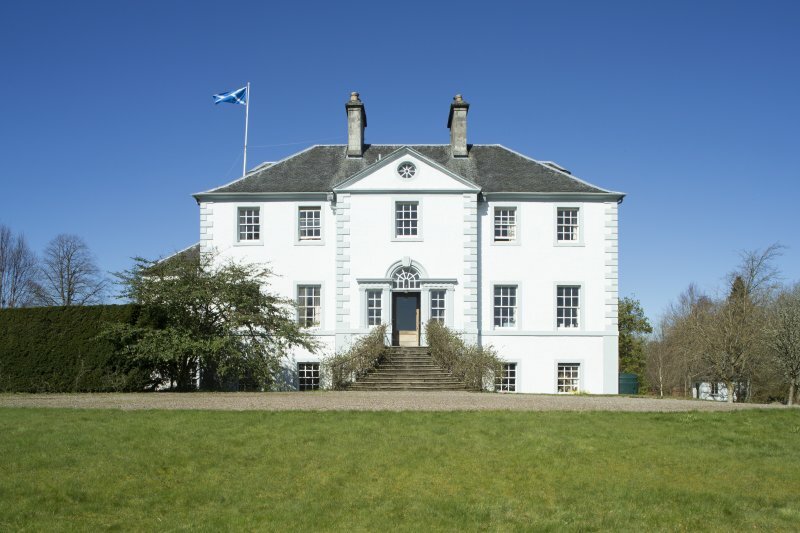 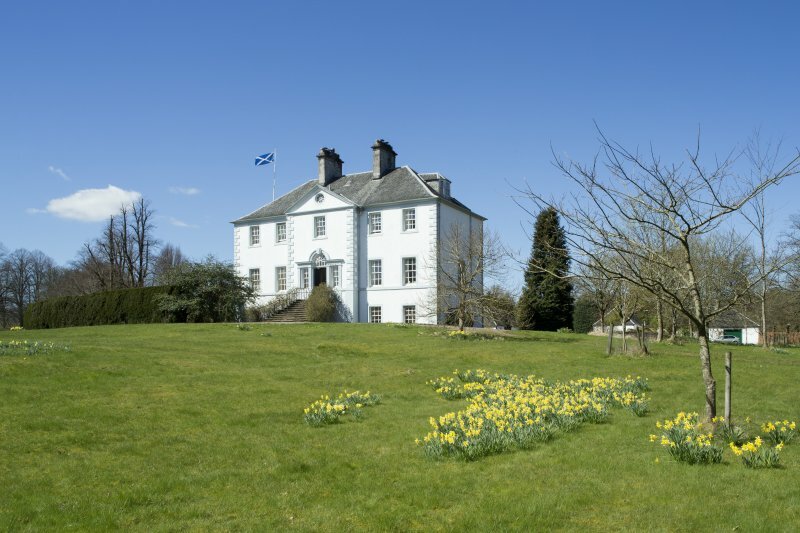 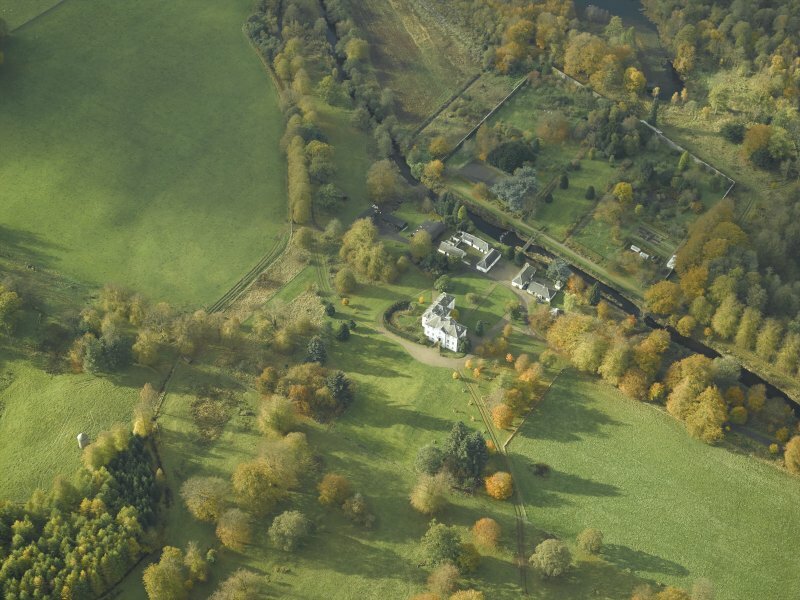 Oblique aerial view centred on Duchal country house, taken from the E.
View of man on horseback outside Duchal House, Renfrewshire. 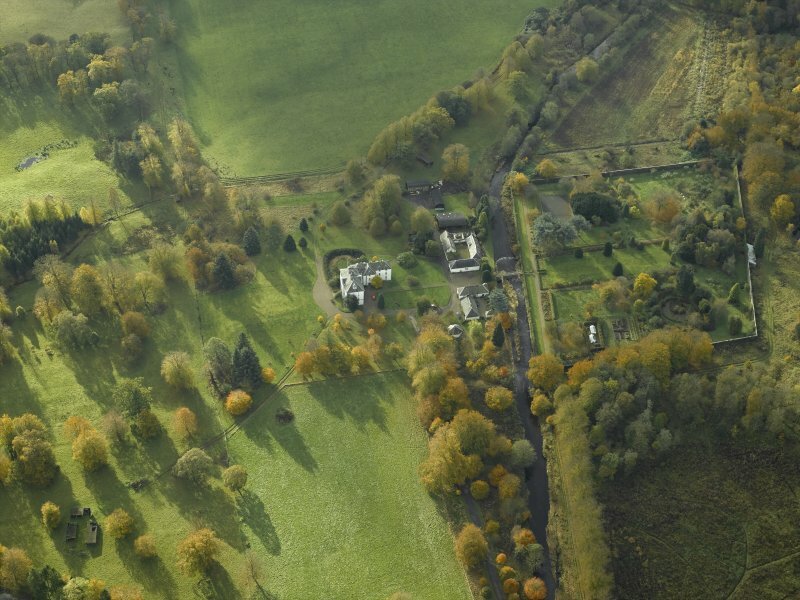 Oblique aerial view centred on the country house, stables and walled garden, taken from the NNE. 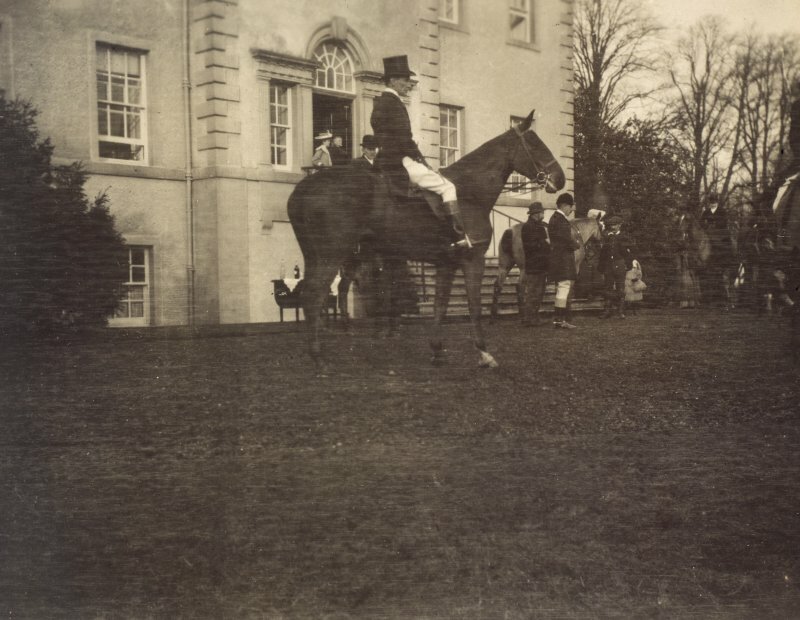 View of woman on horseback outside Duchal House, Renfrewshire. 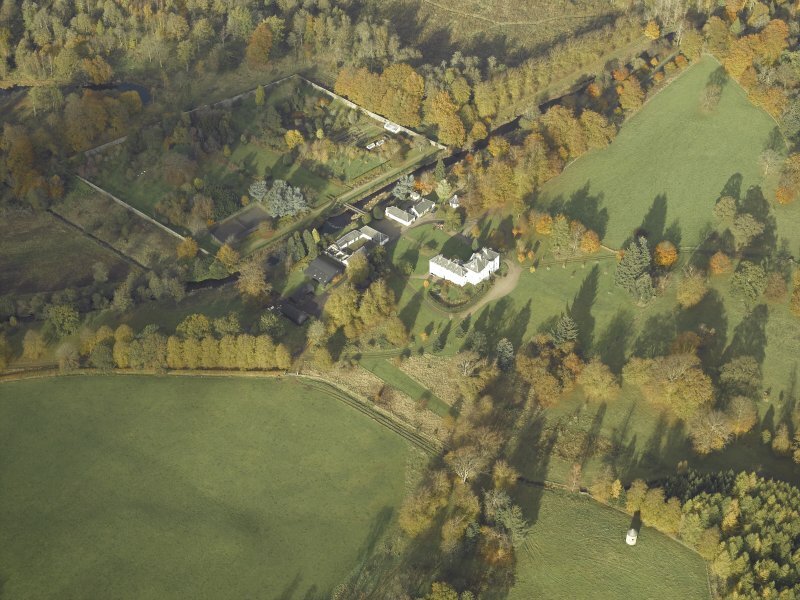 Oblique aerial view centred on the country house, stables and walled garden, taken from the NE. 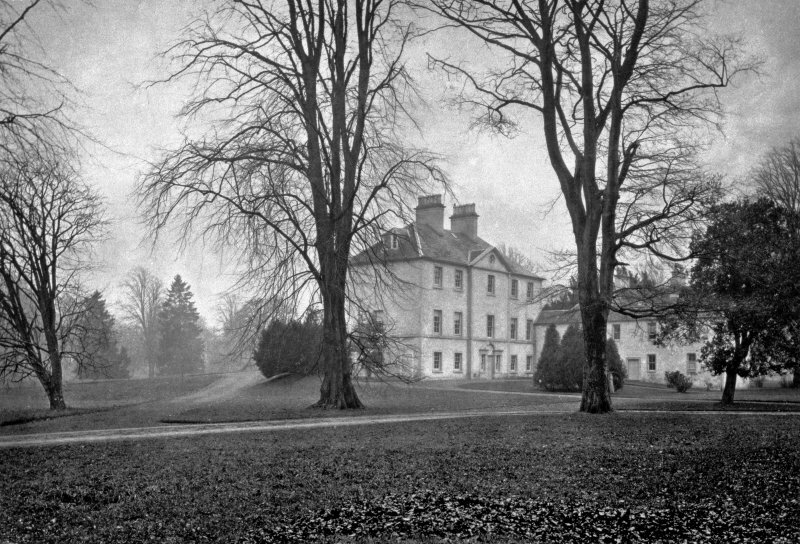 View of front of house and adjacent buildings through trees. 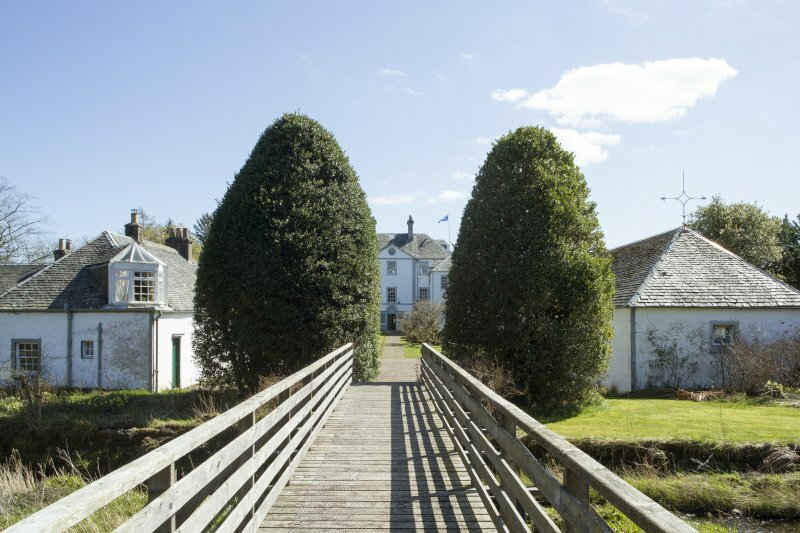 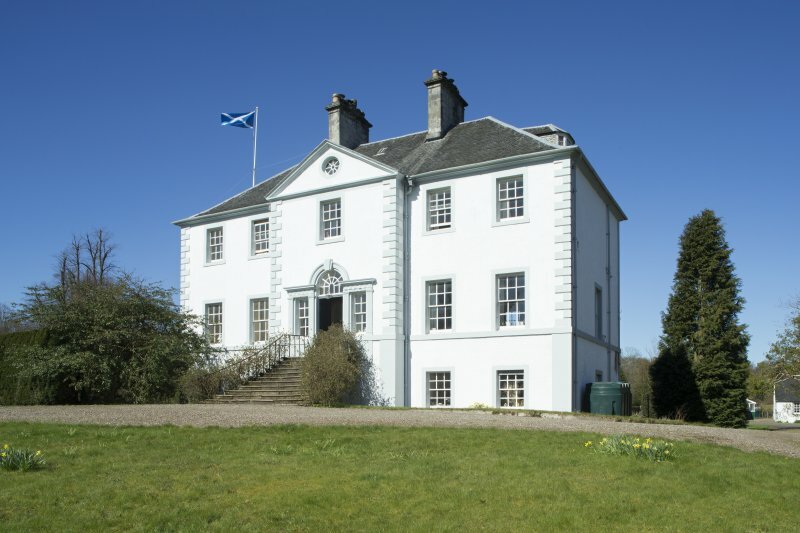 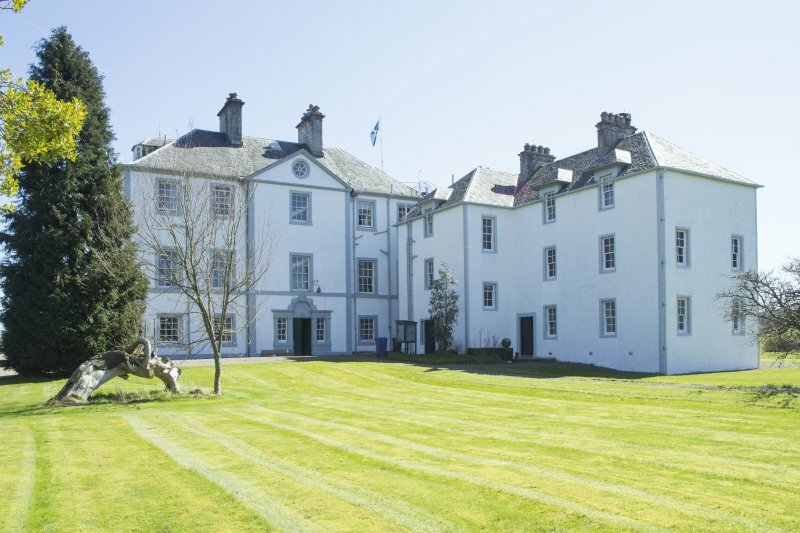 View of front of Duchal House and adjacent buildings from the garden. 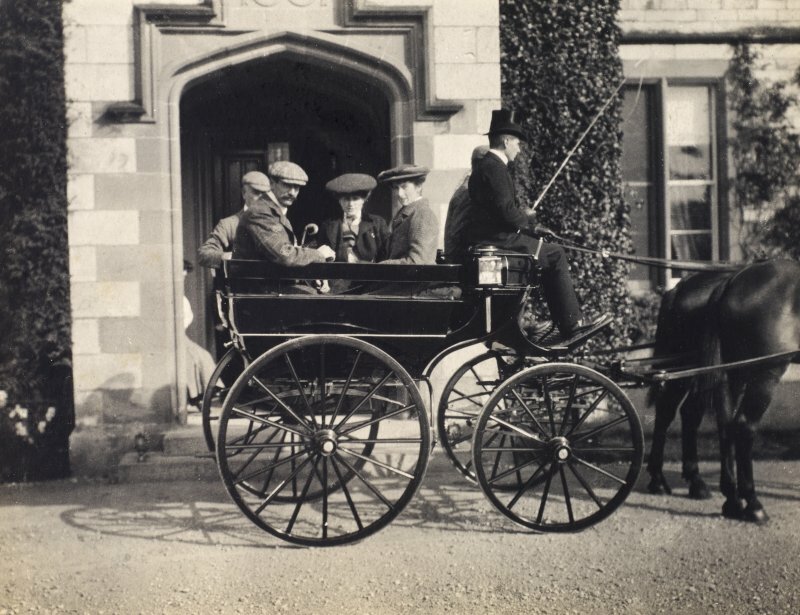 View of group of people and horse-drawn carriage outside entrance to unidentified building, possibly Duchal House, Renfrewshire. 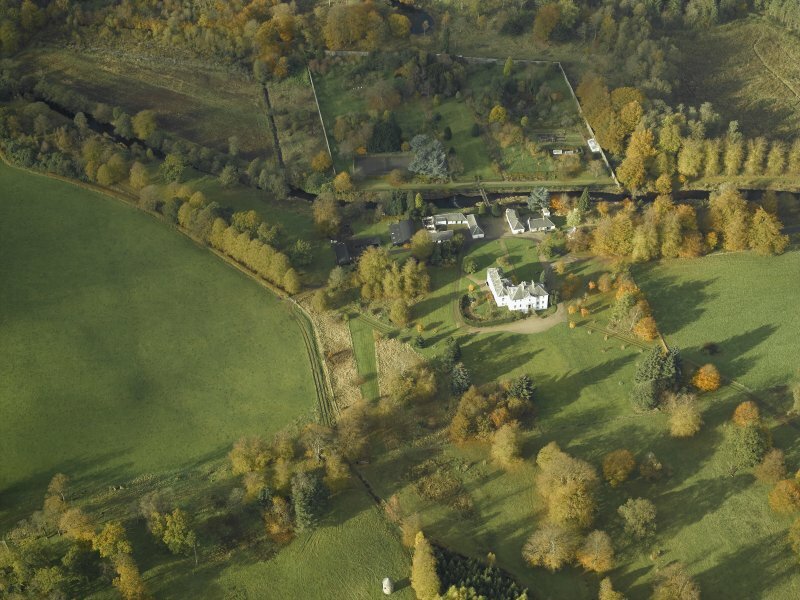 Oblique aerial view centred on the country house, stables and walled garden, taken from the ESE. 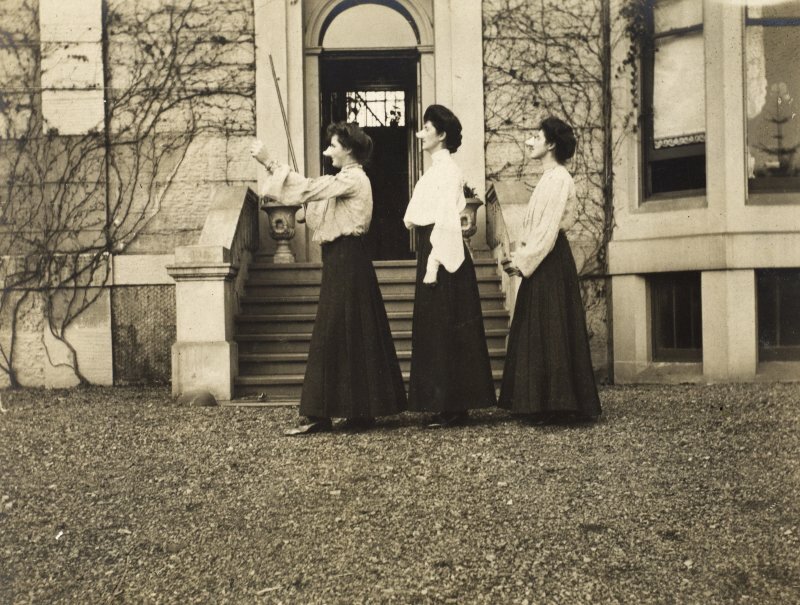 View of three women wearing facemasks outside unidentified building, possibly Duchal House, Renfrewshire. 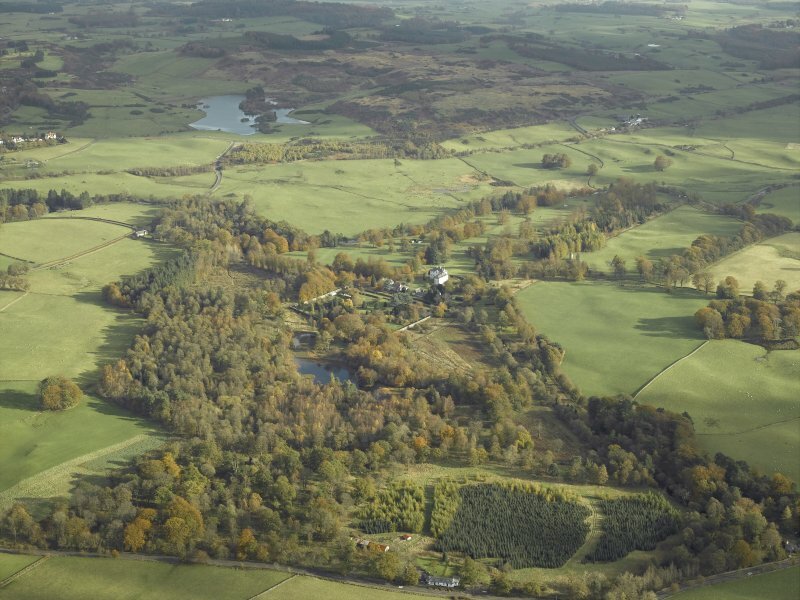 General oblique aerial view centred on the country house, stables and walled garden, taken from the W.
View looking towards house from north west. 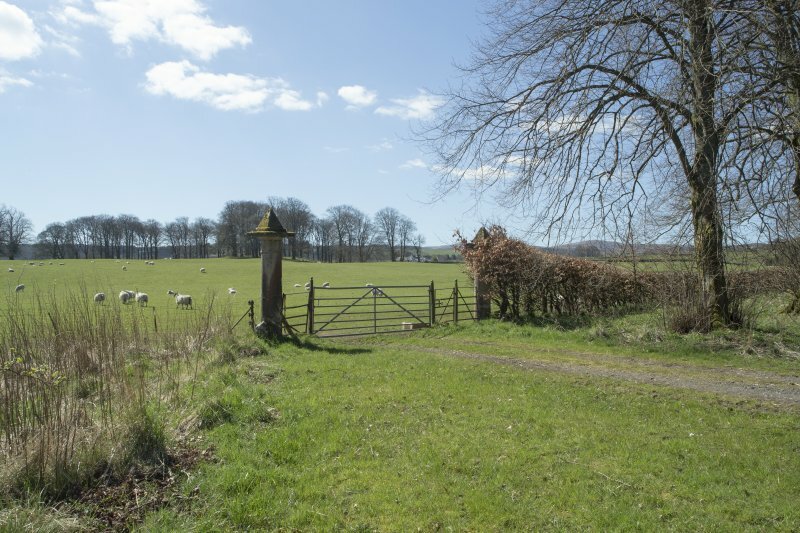 View of earlier gate piers from south east. 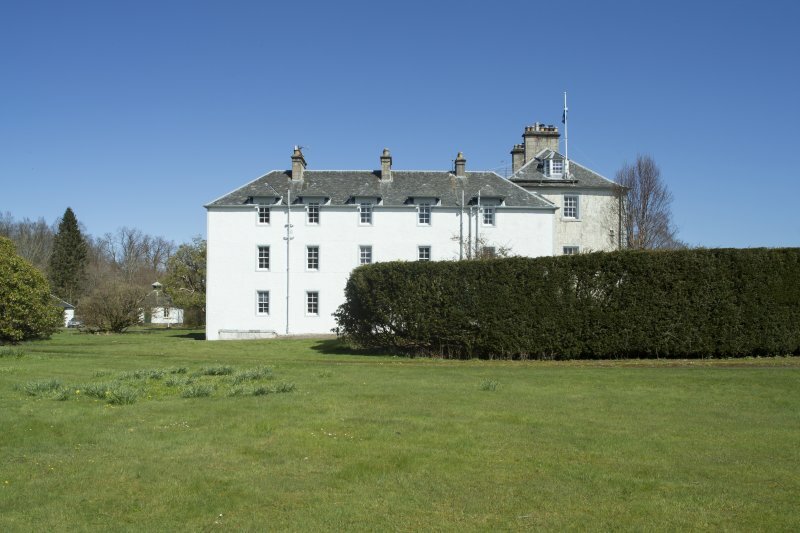 View of game larder from south. 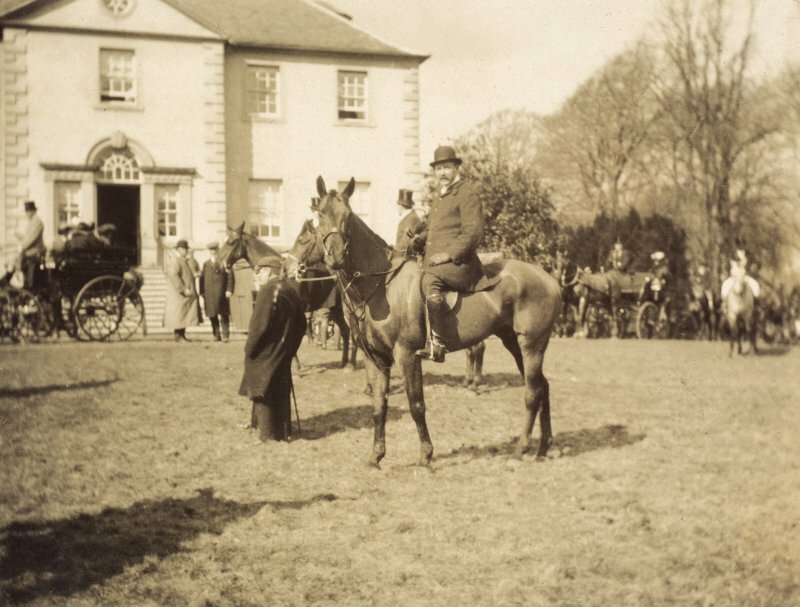 View of woman on horseback outside Duchal House. 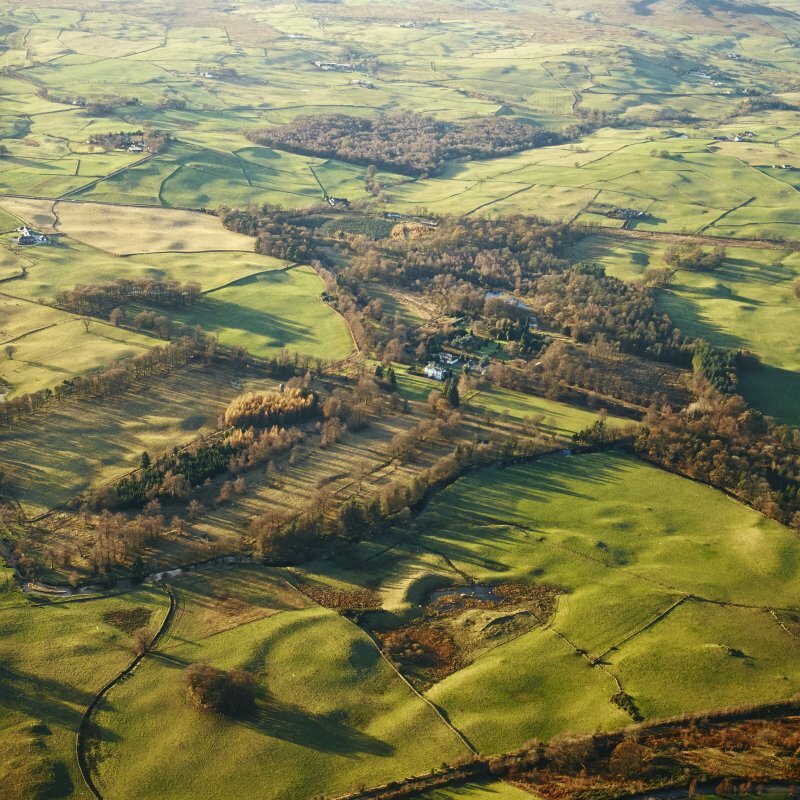 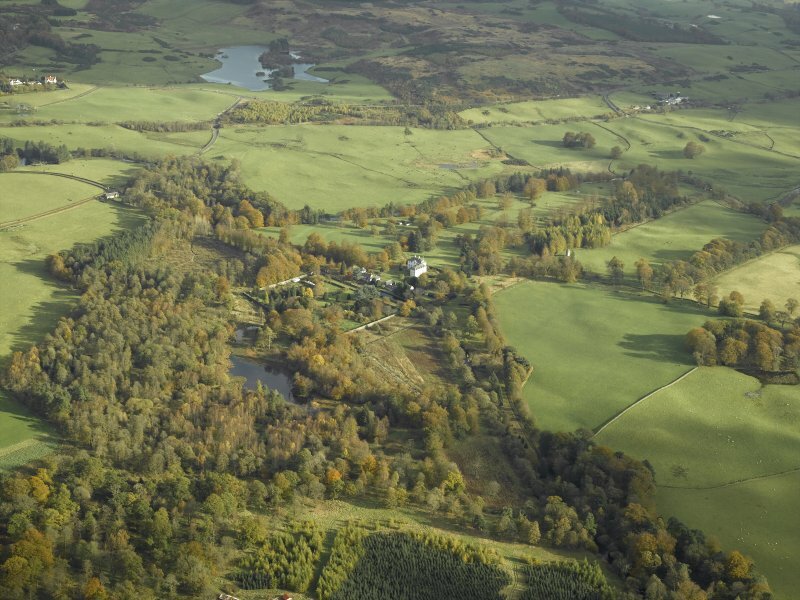 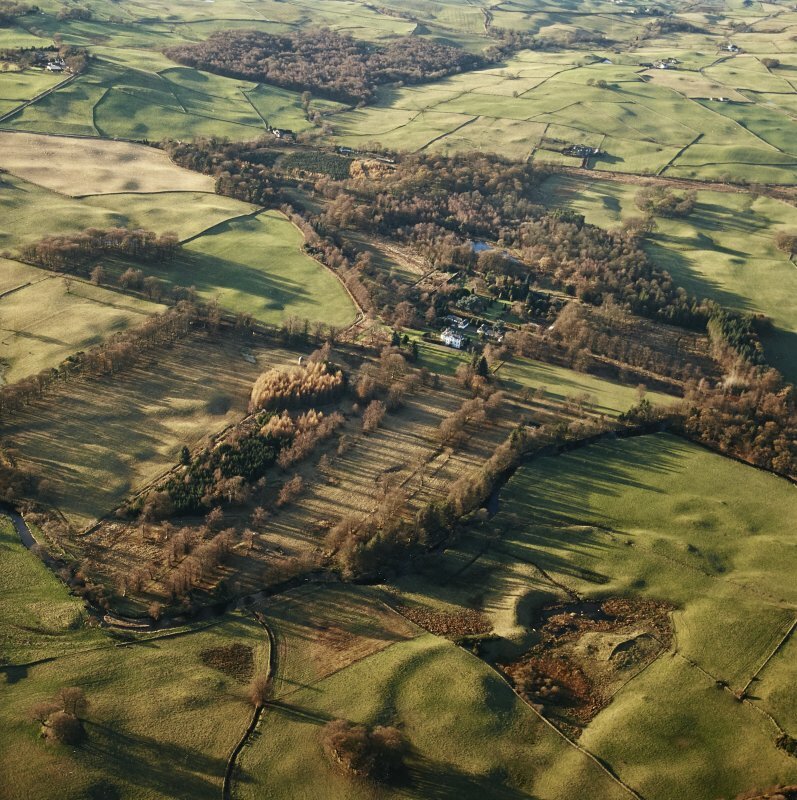 Oblique aerial view centred on the country house, stables and walled garden, taken from the SSE. 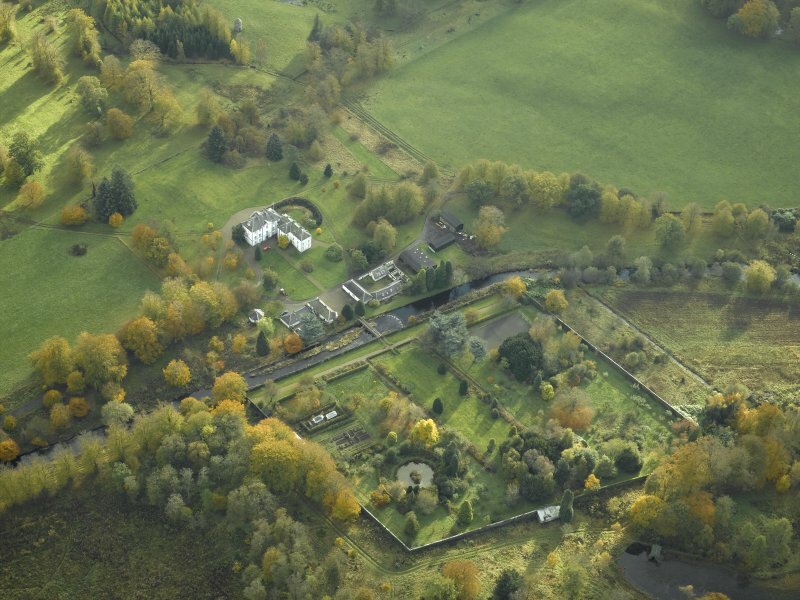 General oblique aerial view centred on the country house, stables and walled garden, taken from the WNW. 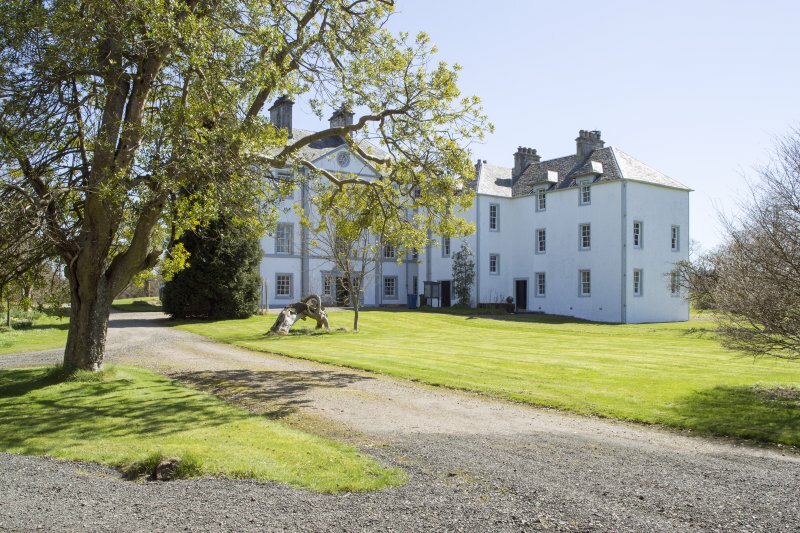 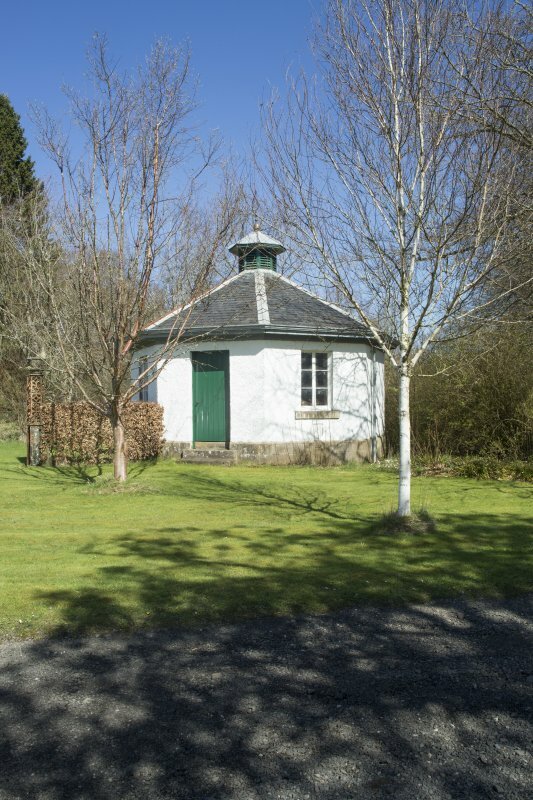 For Duchal House motte (NS 35806 68347), see NS36NE 13. 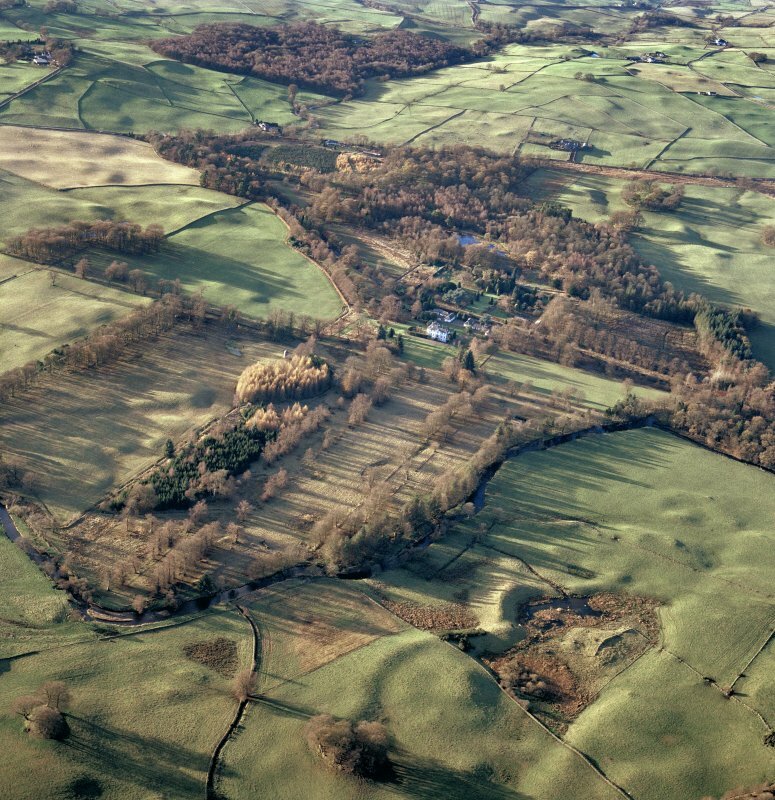 Not to be confused with Duchal Castle (NS 3345 6852), for which see NS36NW 8, or with Milton Bridge motte (also named Duchal House motte) at NS 35806 68347, for which see NS36NE 13. Built by Boyd Porterfield of that ilk in 1768. 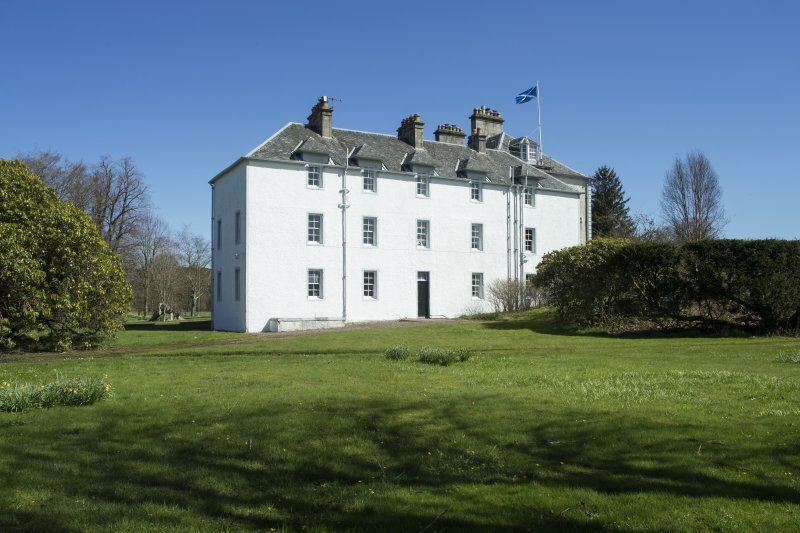 According to Buildings List, a portion of the previous house, built in 1710, remains in the SW wing. 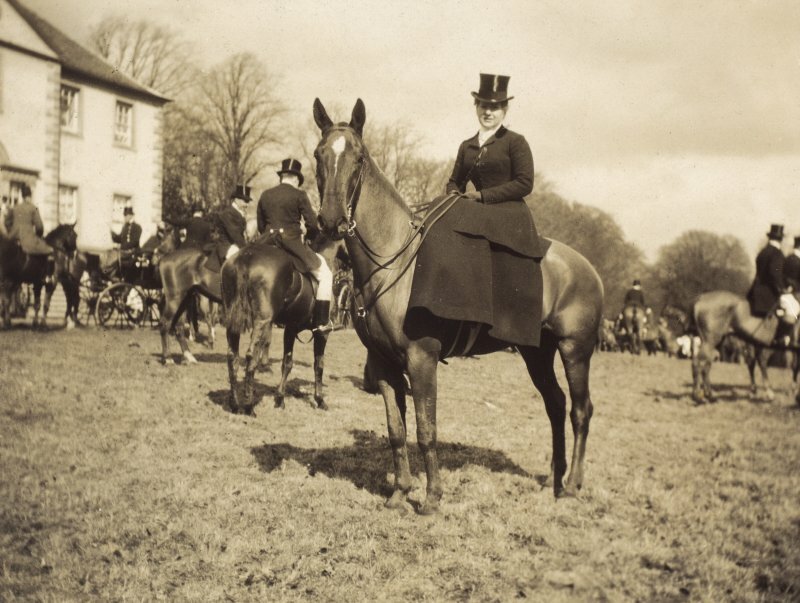 A H Millar 1889; SDD List 1963.